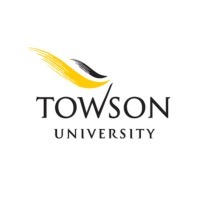 Review: Towson University, often referred to as TU or simply Towson for short, is a public university located in Towson in Baltimore County, Maryland, U.S. It is a part of the University System of Maryland. TU was originally a training school for teachers in Baltimore, and over the years it has expanded and evolved into a 4-year degree granting institution consisting of 8 colleges with over 20,000 students enrolled. Towson is also the second largest public university in Maryland, and still produces the most teachers of any university in the state. Location & access map for "Towson University"